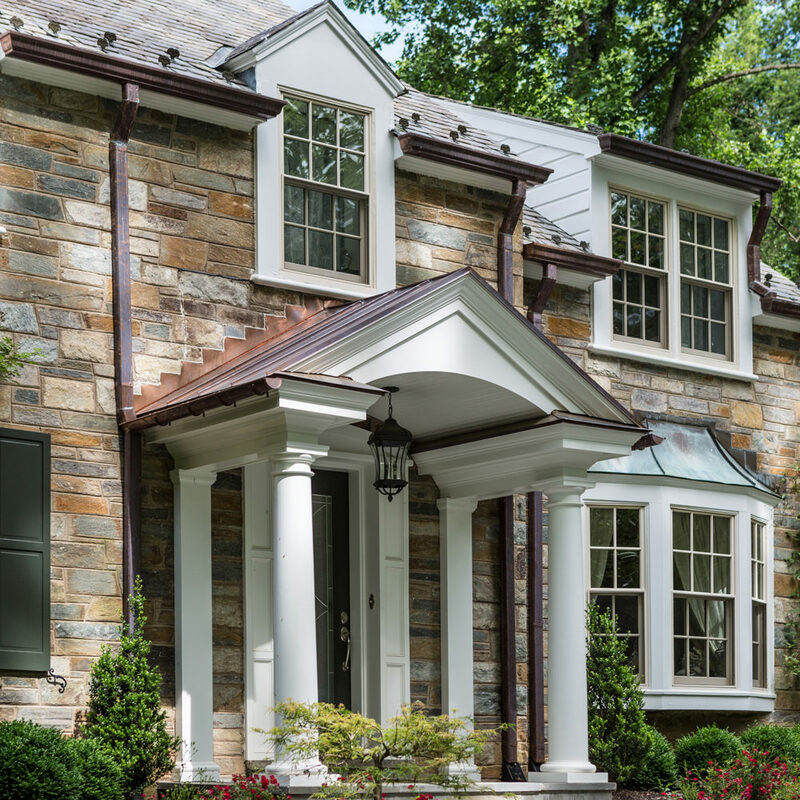 A traditional colonial home in the Potomac Falls neighborhood underwent a whole home renovation including an exterior facelift. 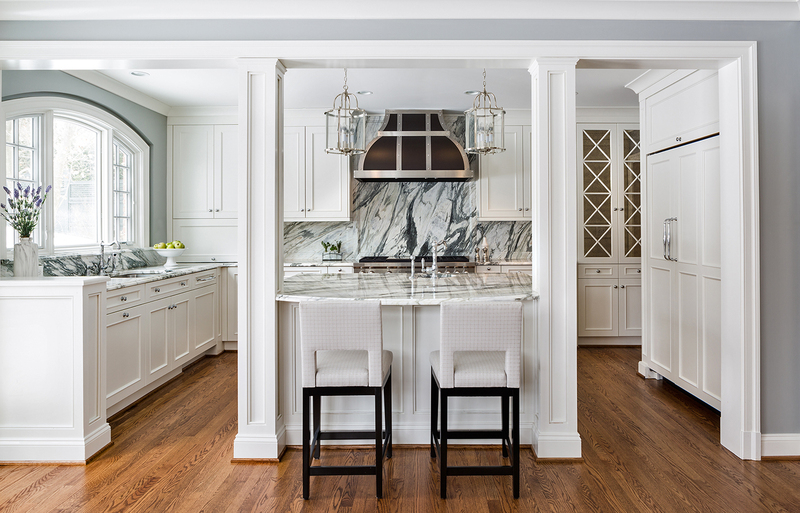 The kitchen, framed by two elegant columns, boasts a statement black range hood with pewter trim and calacatta black and white marble backsplash in a ‘wave’ pattern. 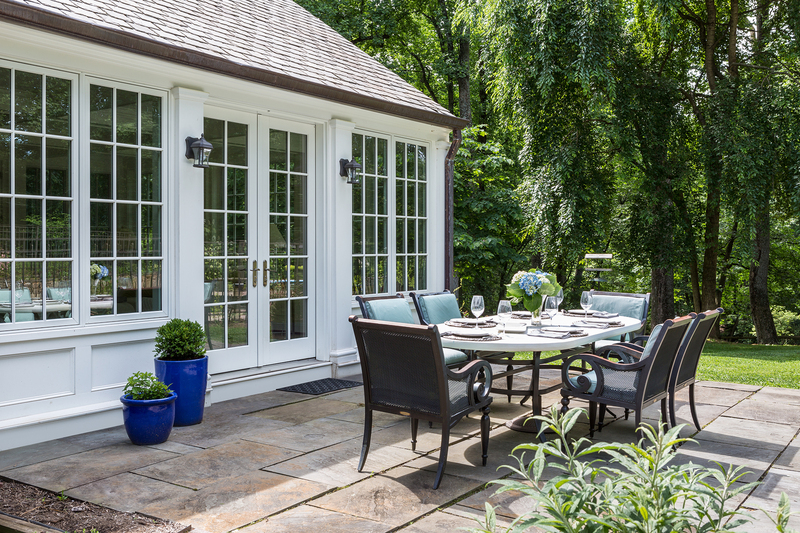 Highlights include arches throughout the home, a new front door with custom frosted glass which fills the once dark foyer with natural light, and a captivating sunroom with coffered ceilings and all-white furnishings. The powder room introduces a pop of color with teal walls and an ornate antique bronze oval botanical sink with a ‘frog and leaf’ decorative drain.